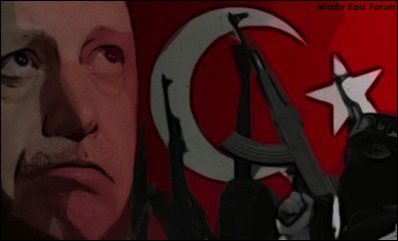 Erdogan fights anyone and anything outside the sphere of his understanding of Sunni Islamism. Currently, there are five permanent and ten non-permanent members. Do the latter have any authority whatsoever? None ... This must change ... You cannot make 196 countries live with the decisions made by any of the five permanent members of the U.N. Security Council. Worse, Turkey does not belong to any Islamic bloc either. The Shiite bloc hates Erdogan's passionate Sunnism. Ironically, Erdogan's Turkey is too Islamic to belong to Western culture and too secular to belong to the Islamic culture. Erdogan had some face value on the "Arab street" only when he aggressively fought Israel politically.